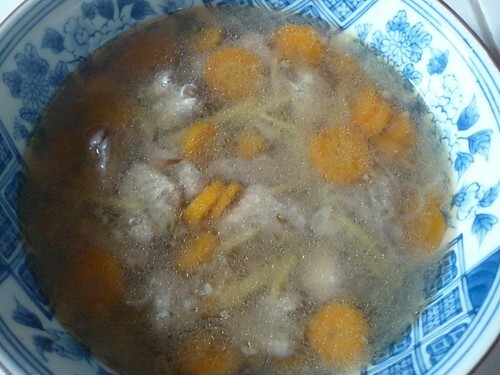 i felt like cooking today and made a classic chinese recipe: chicken ginger sesame soup, good stuff for this uncertain weather. jogja weather has been at the weirdest. suddenly summer in a row in the middle of march which suppose to be rain season. or we would got two weathers in one day. oh dearest. here is the recipe, it’s a family recipe that i modified. i just made this in small saucepan, you can figure out the portion yourself if you used whole chicken. 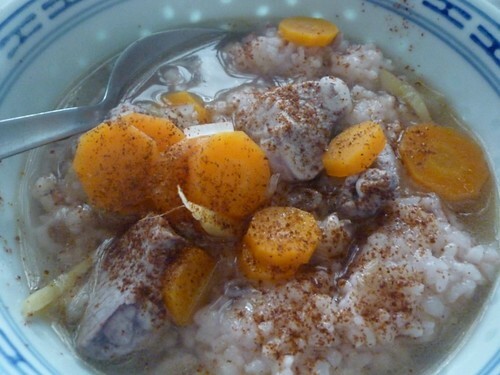 for indonesian chinese it is also known as ayam arak (chicken cook with wine), it is good for new mothers after delivering their babies and when they started breastfeeding. it is also good when you catch the cold. 1. marinate the chicken using the cooking wine, put a pinch of salt and pepper, leave them at least 30 minutes before you cook. 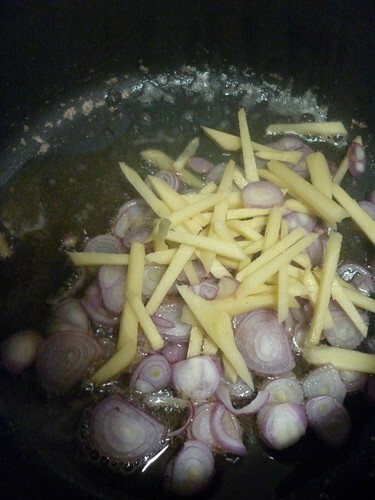 2. heat the sesame oil in a saucepan, put the onions and ginger. stir until the aroma come up. 3. put in the chicken. 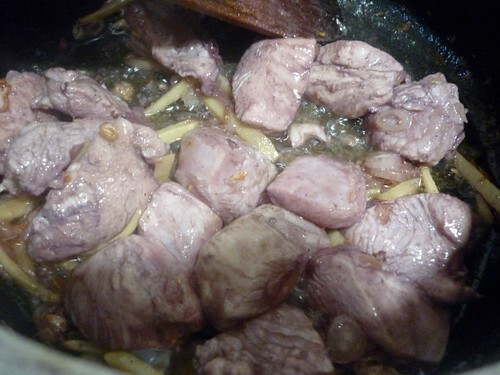 you can put the marinating chinese cooking wine if you want too. stir. 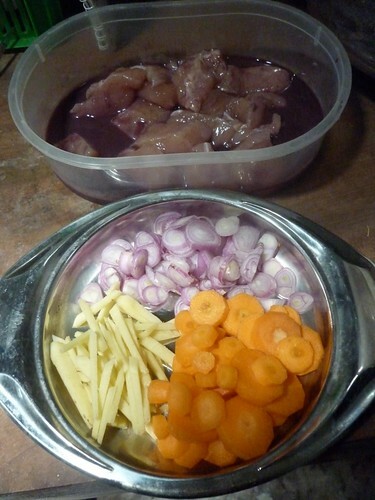 4. when the chicken is half cooked, pour in the chicken stock. boil them. 5. you can add the carrot when it’s boil, add more extra sesame oil, salt and pepper.